Driving standards in this country are crap. Whether you drive, cycle or walk, this is apparent. People in cars who frankly couldn’t care less about the need to control their vehicle. Of course, we can rely upon our fellow community members to convict, on those occasions that the police deign to prosecute, can’t we? Well no, we can’t. A driver can apparently driver 1.2 miles at the 50mph speed limit in under a minute, kill somebody shortly after sending a stack of texts, and the jury see nothing worth convicting. Driving is inherently about risk management. A test is required to ensure a minimum standard of competence. Insurance is required to manage the risk of financial liability in the event of an incident. And decisions that drivers make are all about managing risk, whether consciously or not. What’s more, when so many people drive, if poor standards are commonly accepted then there is a risk that justice will not be effectively served. Yet we still often see poor driving and routine law-breaking. Does the present system manage or avoid risk? Driving is a curious thing. Think back to when you started learning. How hard was it to simply change gear, let alone watch out for other traffic, indicate and concentrate on finding your route in an unfamiliar city. 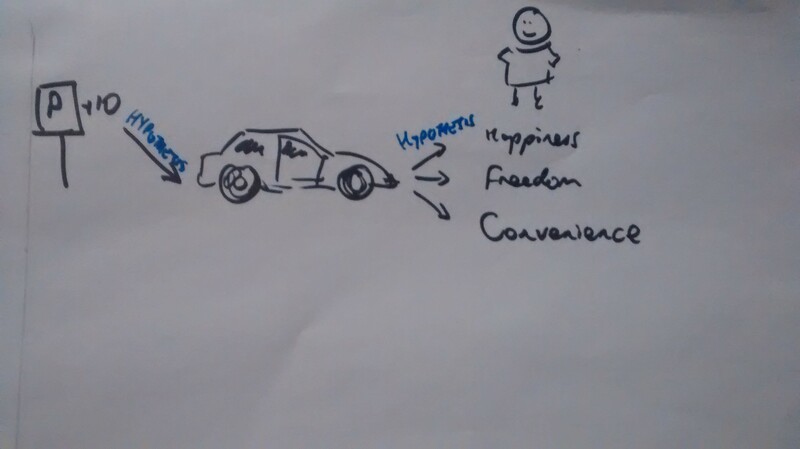 The Four Stages of Competence map the path from Unconscious Incompetence (such as my then two year old insisting he was going to drive home, yet being extremely annoyed that the car didn’t move) to Conscious Incompetence – that moment you’re handed the keys and the reality hits that you don’t know what to do. Conscious Competence follows this. You can drive but have to think about it, particularly if an unfamiliar situation occurs. Finally comes Unconscious Competence. Most of us reach this level in at least some areas – we can change gear without thinking about it for example. But we are unlikely to master every part of driving, if the situation is unfamiliar. How many of us could deal with suddenly hitting a large patch of black ice? The modelling and observation happens privately. We reinforce this, largely through our social circle. 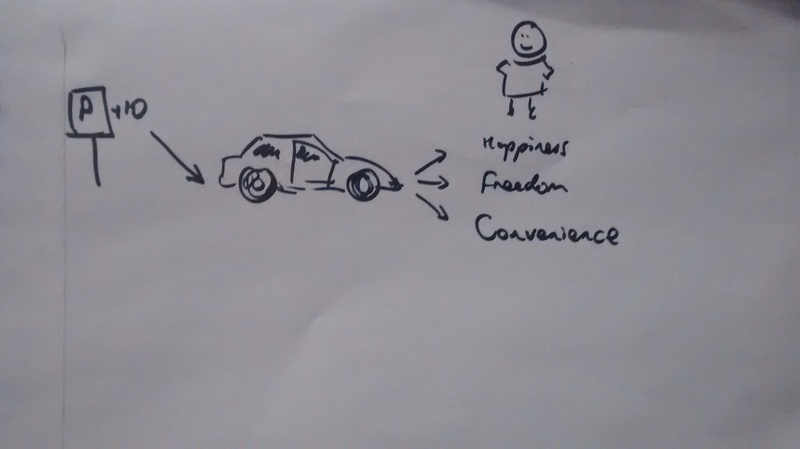 So our driving standard is peer reinforced, based our internal values. There is little control over this to ensure an adequate standard of driving, beyond the vague and distant threat of penalty points. So we need to ensure that adequate standards of driving are maintained. We cannot assume that people will manage this themselves; being human we are terrible at estimating risk and consequently people tend to over-estimate their driving ability. 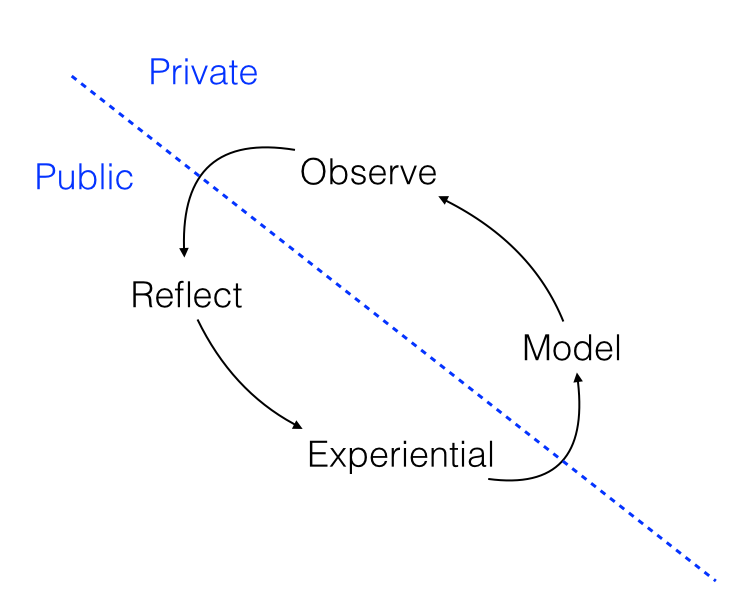 So what is the solution to an inadequately reinforced peer-learned model? One is to run continuous driver training courses for all, whereby the modelling and observation take place in groups under trained supervision and coaching. Unfortunately this is not scalable to several million drivers. The other solution is to require regular testing. This gives the opportunity to ensure that the driver is aware of new laws and has an incentive to focus on improving their driving at distinct points. It also provides a convenient mean of removing those drivers who don’t meet the required standard from the road. I have no doubt that any calls to retest drivers will result in calls to test cyclists (Hello, Tory and UKIP councillors! ), despite the fact that drivers and cyclists are frequently the same people in different situations. 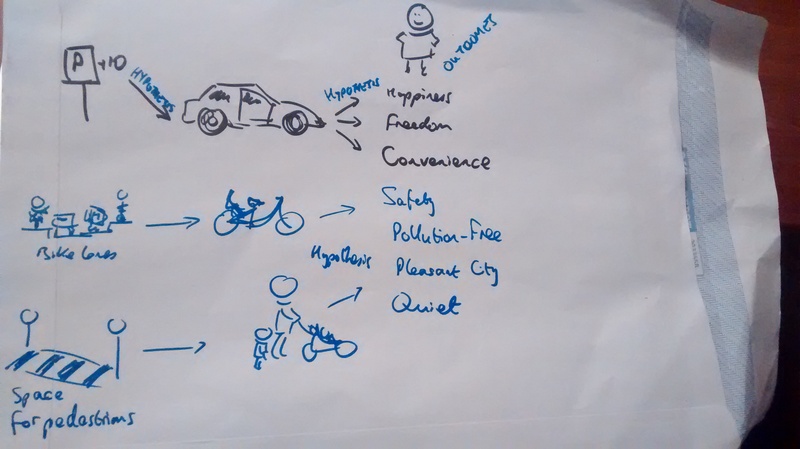 So let’s examine the case for testing different modes of transport. Let’s start with the most basic form of transport! After all, people walking often find themselves legislated against. Crossing roads in many countries is illegal, except at given crossing points. Even then, pedestrians may find they have to wave flags in case they have accidentally rendered themselves invisible. What is the risk that a pedestrian poses to others? Well, if they step out into a road carelessly, they can certainly cause damage to others. But that damage tends to be due to the other party’s speed and the pedestrian has significant moral hazard that causes them to look out. Given that pedestrians have been walking and gathering in towns for 7000 years with few ill effects, it seems reasonable to not require a test or unreasonable legal restrictions for walking. Now for cycling. 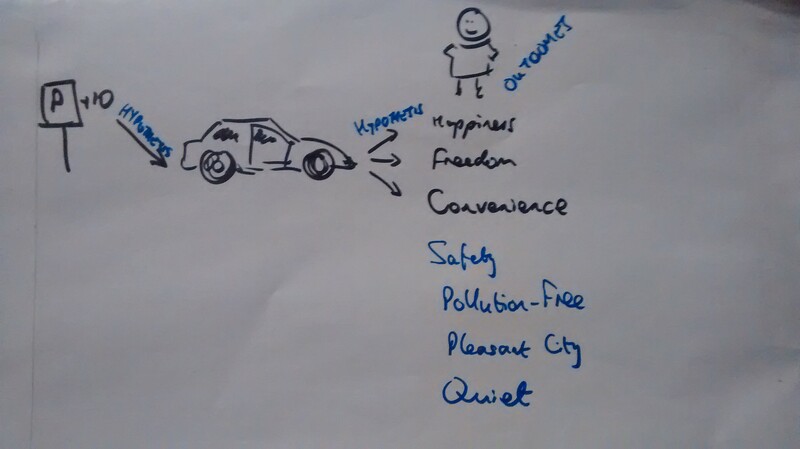 This is a human powered transport with plenty of rough points on which to damage people. It’s a seemingly unstable beast yet one that is accessible to anyone from three year old children to those in their twilight years. Get a licence, you lycra lout! So what’s the risk posed by cyclists? Very little, it turns out. Deaths caused by cyclists make headline news because they are so very rare. Velocity rarely exceeds 20mph and the mass of rider plus bike will rarely exceed 100kg. There is also significant moral hazard for the rider; hitting someone or avoiding a crash carries significant risk of losing a layer of skin at best. So from a risk management point of view, there’s little need to require that cycling requires a licence. And if there’s no risk, why on earth would we wish to go through the administrative burden of licencing a rider who cannot even write their name? And so to motor vehicles. We know that the risk from these vehicles is high, in terms of sheer kinetic energy being propelled. Thousands of deaths and injuries every year is testament to that. The quality of driving on our roads is shockingly low too – beyond one’s own experience, simply look at the Twitter feeds of traffic police for examples. It’s clear that the current licencing is insufficient. Banning drivers who reach 12 points is reliant on the stretched resources of the police to catch offenders, and for judges to not believe the pleas of exceptional hardship from those who hadn’t twigged that it might be prudent to drive carefully upon reaching 9 points. A retest is a proposed solution. Every five years should be sufficient, but feedback from traffic police and accident data should be used to to verify that standards are actually rising. That would cover the standard risk of driving. But what of those who voluntarily take on more risk by driving heavier vehicles which carry much greater kinetic energy? A fair solution would be that vehicles over a certain mass require an additional qualification to be driven. 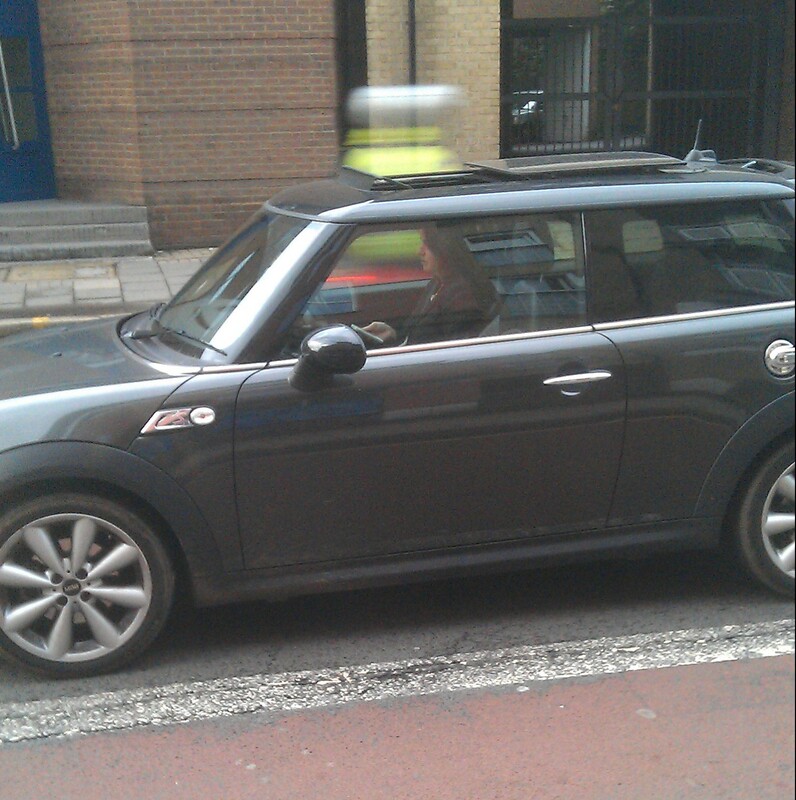 This could simple be the IAM Advanced Driving test. The goal of this is not to curtail driving these vehicles, but to ensure that ability is in line with the increased risk posed. Similarly, those who drive for hire might be assessed more frequently. This would give passengers assurance of their driver’s capability. This may sound like a rant from a car-hater. It’s not. I’m still working on persuading my wife that a Porsche 928 is in reality a four seat hatchback. However, it is a recognition that something has to change. 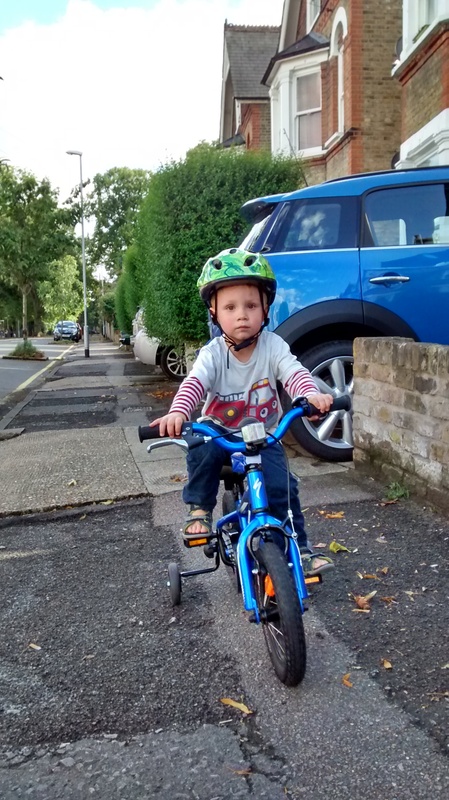 I’m fed up with crap driving, whether I’m in my car, on my bike or trying to cross a street safely with my children. The present system does not manage risk. It avoids it, hiding risk away and brushing the inevitable outcomes under the carpet. 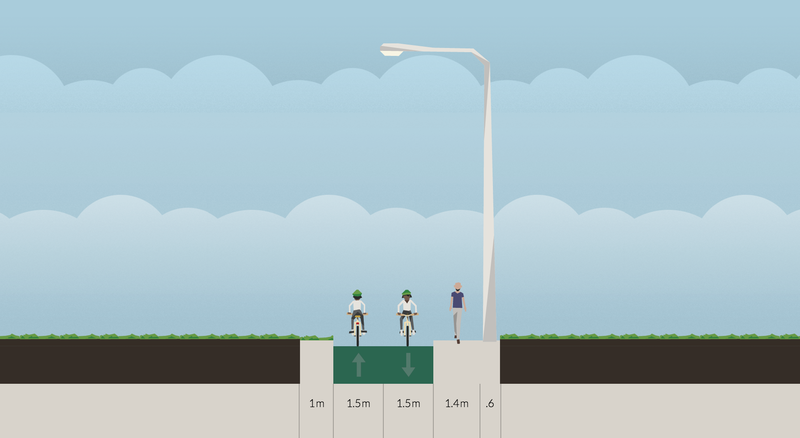 The revised proposals for the first mini-Holland scheme are now online here. While these aren’t a fully Dutch solution, they are a significant improvement over the initial proposals. I applaud Kingston’s willingness to listen to feedback from constituents and revise these plans. I do still have some reservations; these are detailed below. The consultation feedback is available here. There was a significant response, with 701 individual responses and further responses from special interest groups (e.g. disability groups and cycling campaigners). This has been described as a very high level, which is hopefully indicative of latent demand. 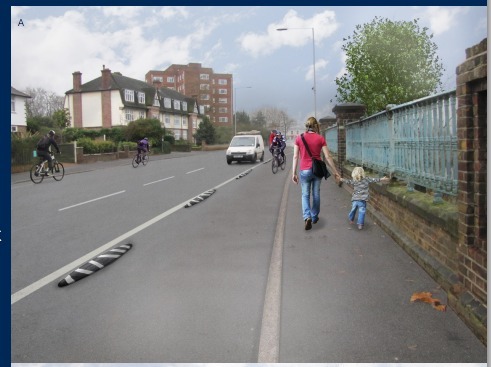 Looking at the goals of the scheme, the majority of respondents claimed that they would ride and walk more in the area following the proposals. This is significant; if this scheme doesn’t encourage cycling take-up, it has not met its goals. The segregated aspects of the proposal gained a high level of support, although concern was justifiably expressed about provision for pedestrians with pushchairs. Interestingly, concern was expressed about provision for mobility scooters; this is somewhat surprising as segregated cycle lanes typically provide a better environment than pavements which are often uneven and clogged with street furniture. Would this impact emergency vehicles? Interestingly, David Hembrow noted that high quality cycle infrastructure provides an ideal route for emergency vehicles to bypass traffic! Both the Kingston and Richmond cycling campaigns provided comprehensive feedback, calling out the proposals for not meeting the stated goals of the project. Significant amongst the responses was Ravens Ait, complaining that coaches would not have access to their venue. Of course, any coach currently parking for the venue will be sitting on the non-mandatory bike lane, causing inconvenience and danger to cyclists. This highlights why such a scheme is necessary. Perhaps they could come to an agreement with Harts Boatyard to use their large parking area? 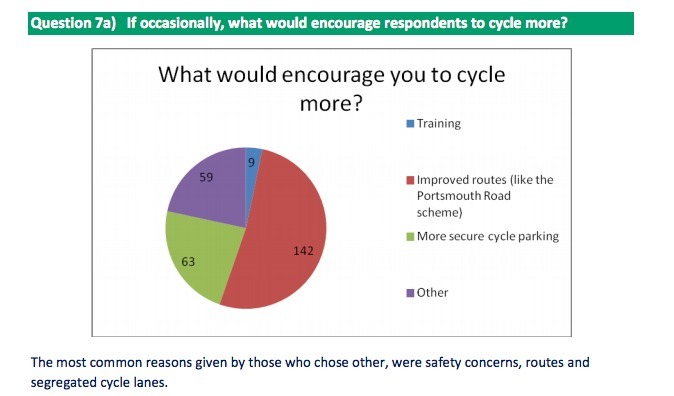 As a side-note, there appears to be a misunderstanding of the term “mandatory cycle lane” by some respondents. It’s not mandatory for cyclists to use this; it’s mandatory for motor vehicles to stay out of it! So, the new proposals. There is much to celebrate here and the council has created a segregated route for the entire length of the journey. This includes bus bypasses, removing the dangerous game of leapfrog that occurs when cyclists and buses are forced into the same space. 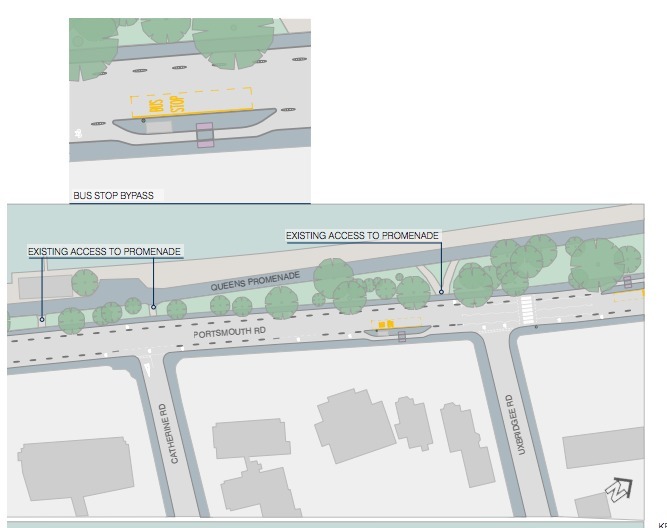 The northern end of the scheme is now kerb separated with a bi-directional cycle path, while the southern part now has light segregation. However, the segregation is more than the original white paint, so this is an improvement. Most pleasing about this is that the council now seems to understand what this is all about. They’ve listened to the survey responses and we can look forward to high levels of engagement and good infrastructure going forward. There remain some questions. I am personally unconvinced by the separation using armadillos. Unless these are particularly large, they will not discourage the determined van / Range Rover / Ravens Ait coach driver from parking out of the way of motor traffic in the cycle lane. Should this occur, I trust that the council will consider a more robust infrastructure measure, coupled with punitive fines for transgressors. Of equal concern with the armadillos is that they may not provide subjective safety. It would perhaps be useful for the council to follow up with a survey once these are in place to gauge thoughts on this. The treatment of side roads is also unclear from the revised proposals. When the scheme is implemented, these need some markings to remind drivers that they must give way to both cyclists and pedestrians when they wish to make a turn. 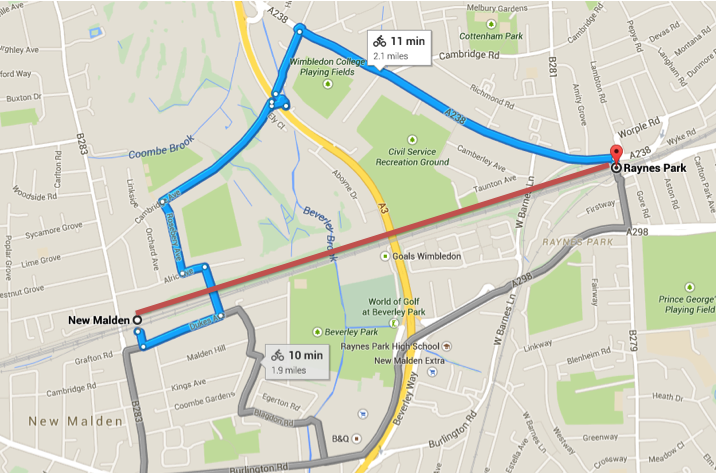 Obviously, there’s a pressing need to connect this route to the town centre and extend it south too. However, the river roads should also be considered. 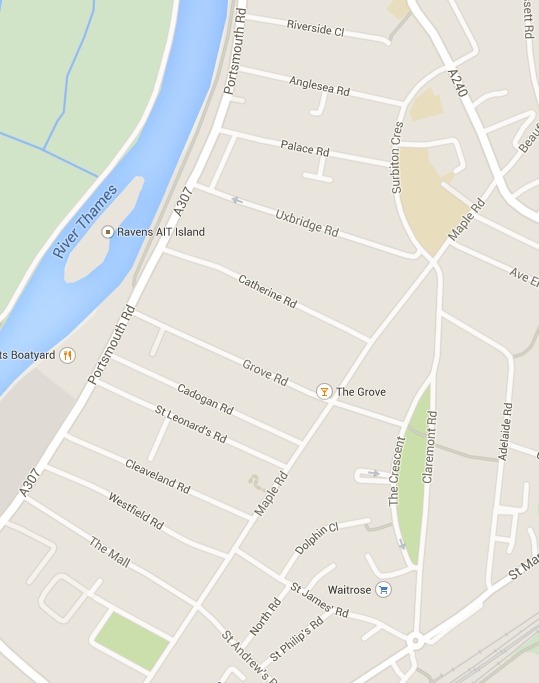 Is there a need to prevent Maple Road being a through road for traffic, in effect making the River Roads access only? Such a development drives motor traffic onto the main roads, making side streets more pleasant for residents and safer for cyclists. Yes, it creates a slightly longer for motor traffic, but at the gain of removing rat runs down one’s street. Part of the mini-Holland legacy should be the removal of through traffic from streets for living. 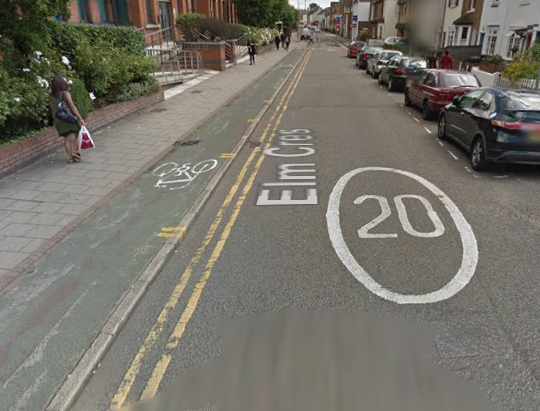 Overall, this is hugely positive for cycling in Kingston. It’s a good first step that should encourage people out of their cars for short journeys. The results will be watched very closely. Eric Pickles quite justifiably took a lot of flak for his proposals to grant free parking to people who can’t use their watch. But almost more offensive than the policy itself was the dumb way in which it’s proposed. If the answer is always about the car, Eric Pickles is asking the wrong question. In Pickles-land, the world is very simple. 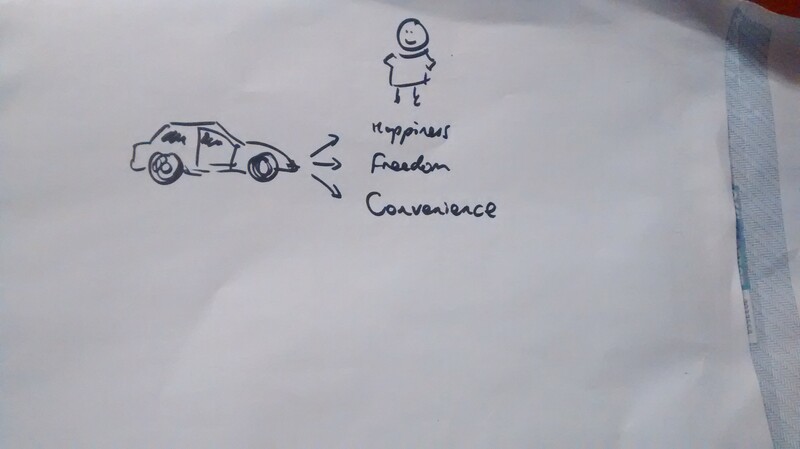 People use cars to give them happiness, freedom and convenience. Yes! More parking! Convenience for people who can’t tell the time! But these are hypotheses. We don’t know and Eric Pickles doesn’t know that convenient parking is what drivers want, any more than that driving cars leads to these outcomes. Pickles is hypothesising, but has no measures other than the wailing of the pro-car lobby such as the Daily Mail. Let’s try less pollution. And what about quietness? When the Ride 100 goes through Kingston, the quiet hum of bike wheels is wonderful – I can actually hold a conversation with my son while walking along the main road. Might this not be desirable? And if one walks into any town in rush hour, you can simply taste the pollution. So how might we meet these extra desires? Well, we could do worse than copying the Dutch, who are very good with people safety, health and having quiet and pleasant cities. 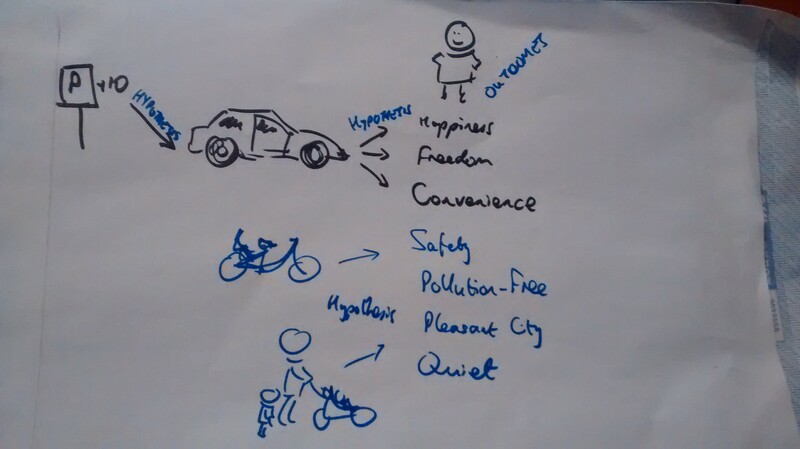 So in doing so, we hypothesise that riding and walking will meet these desired outcomes. A hypothesis requires a metric, so we could monitor pollution levels, noise, number of accidents, take up of bike lanes once infrastructure is put in. So now we look at the supporting infrastructure. It’s simple really. If we’re going to try granting extra time on parking, we should also try to meet voter needs with segregated bike lanes and better environments for walking. This is a hypothesis, but based so heavily on things that have worked elsewhere that the risk of them not working is minimal. And there we have it. How to put forward a coherent argument for infrastructure. Pickles may think he’s clever for getting a headline grabber, but has most likely left a vast amount of unfilled need on the table. And for a politician, that’s a dangerous place to be. Simply put, he’s out of touch and a relic of the past.